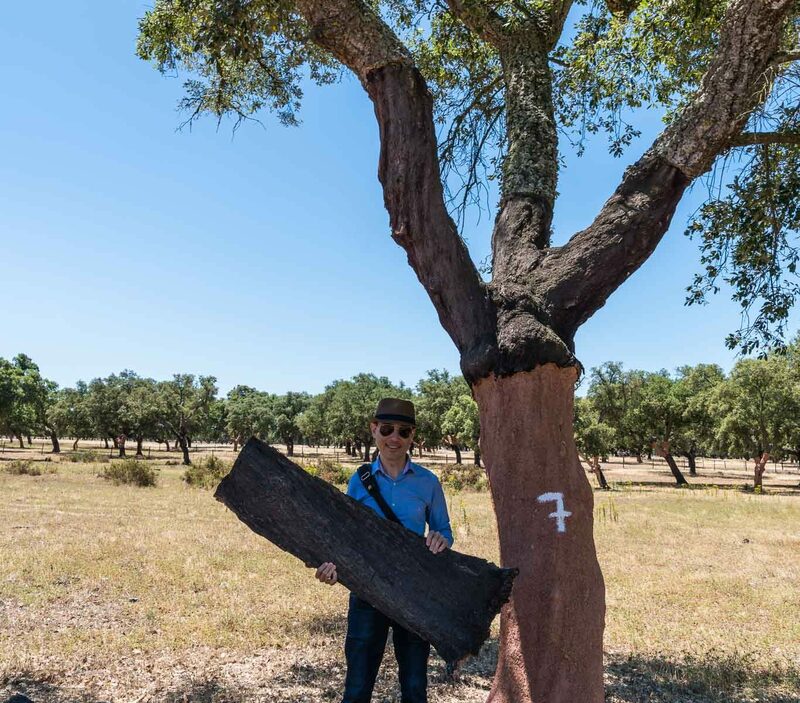 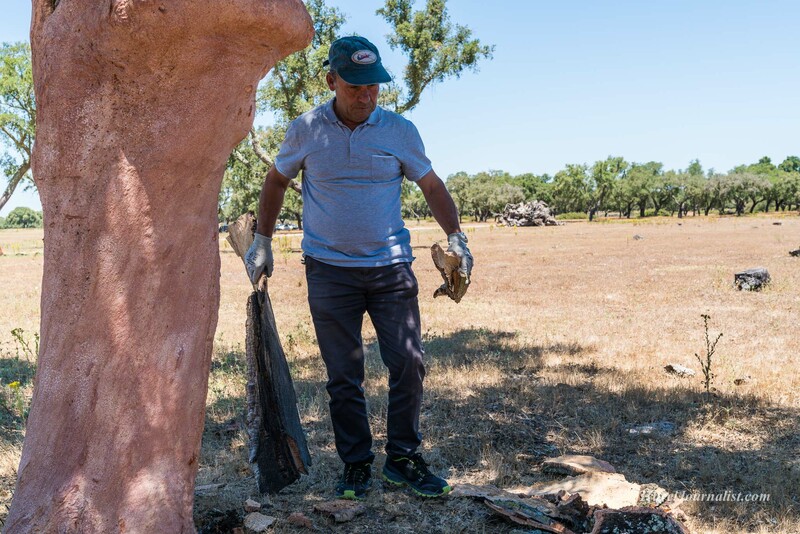 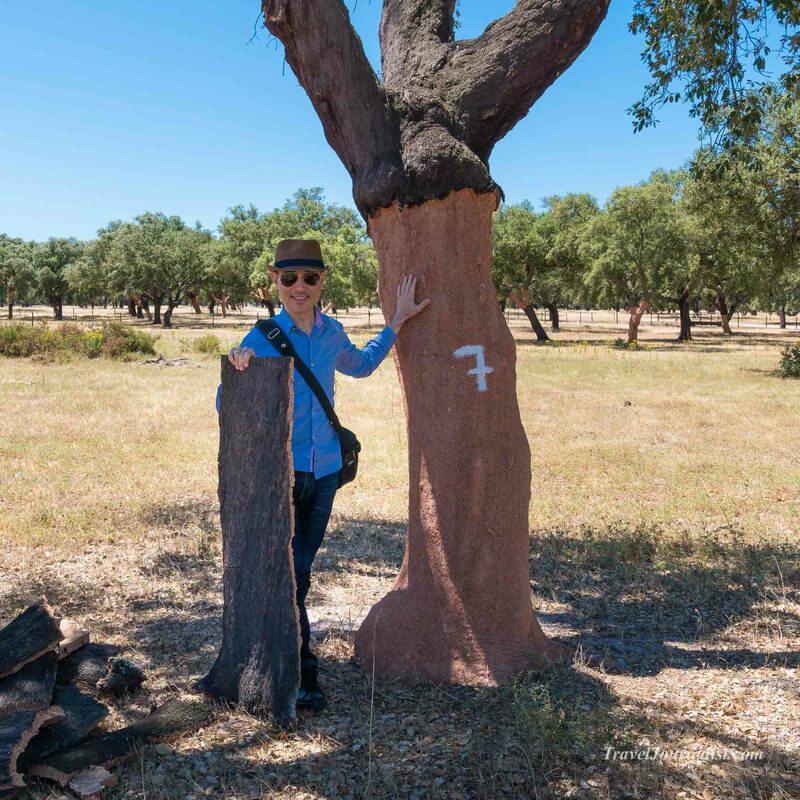 In July 2017 I attended the harvest of the cork oak trees in a 800 hectares (2 000 acres ) forest, 70 km from Lisbon. 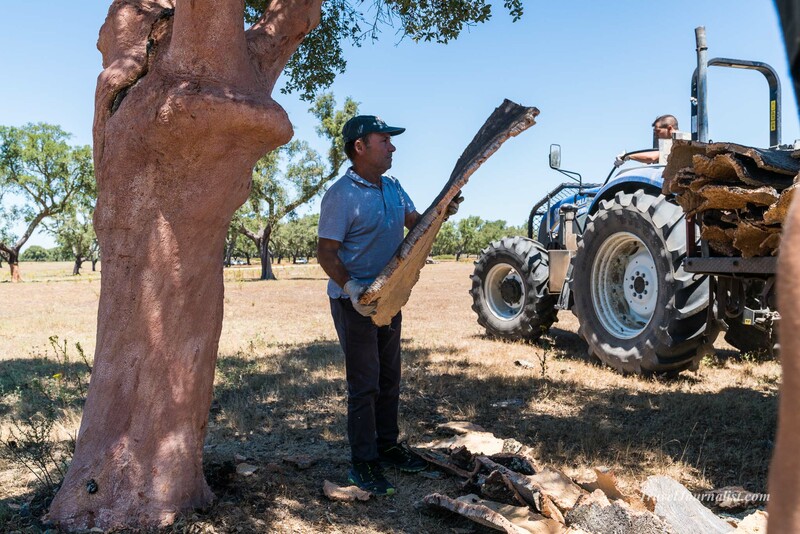 This harvest can be done every 9 years, in June and July because of the good weather conditions. 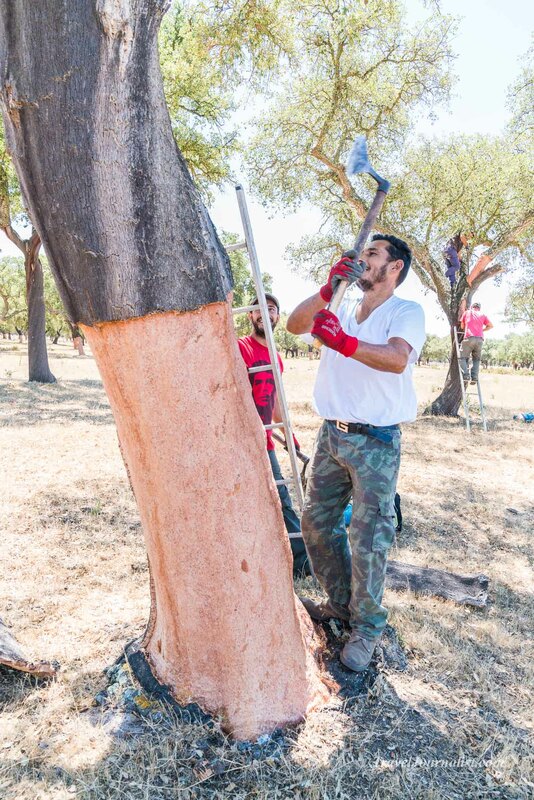 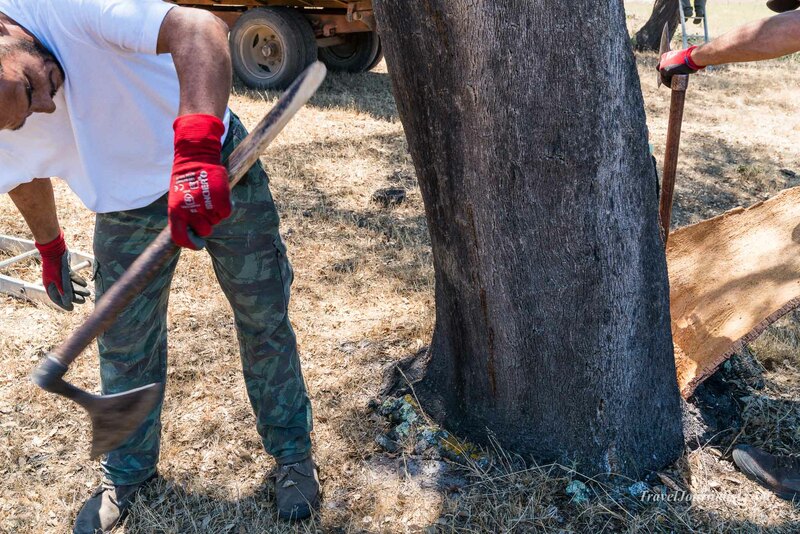 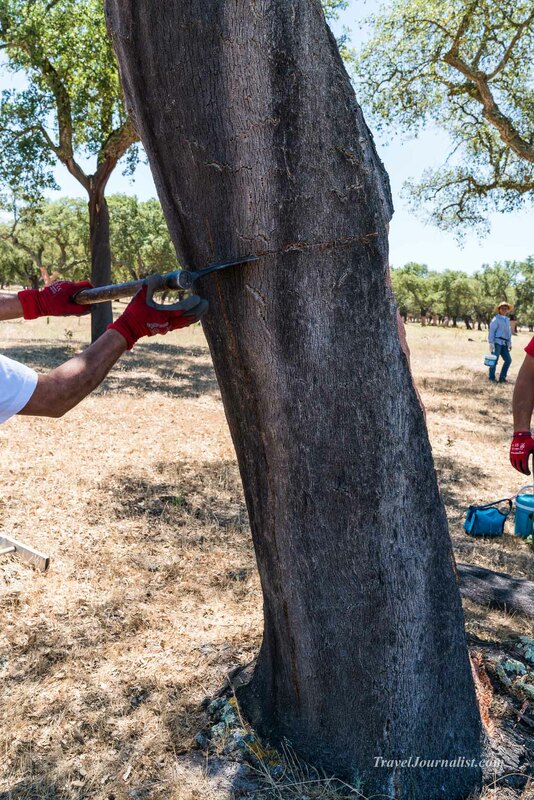 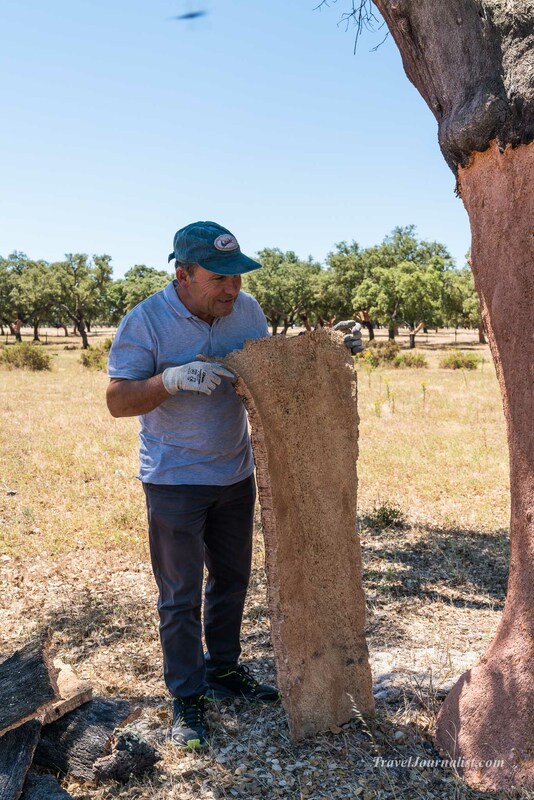 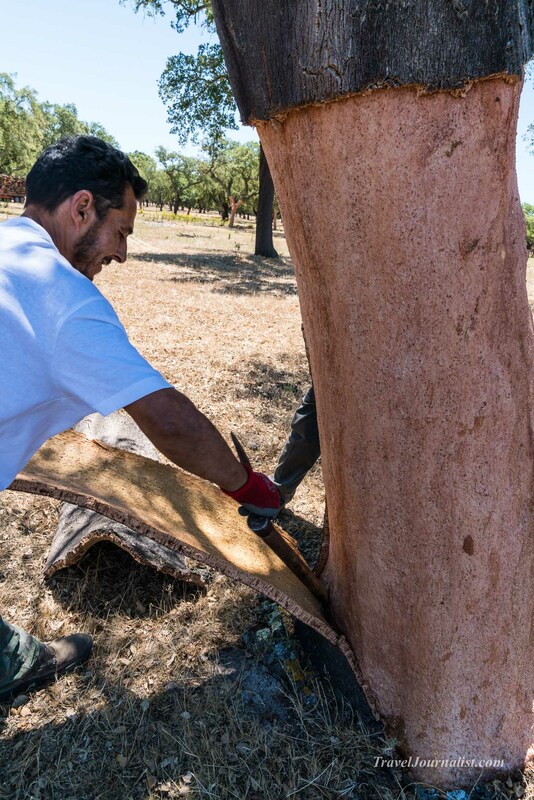 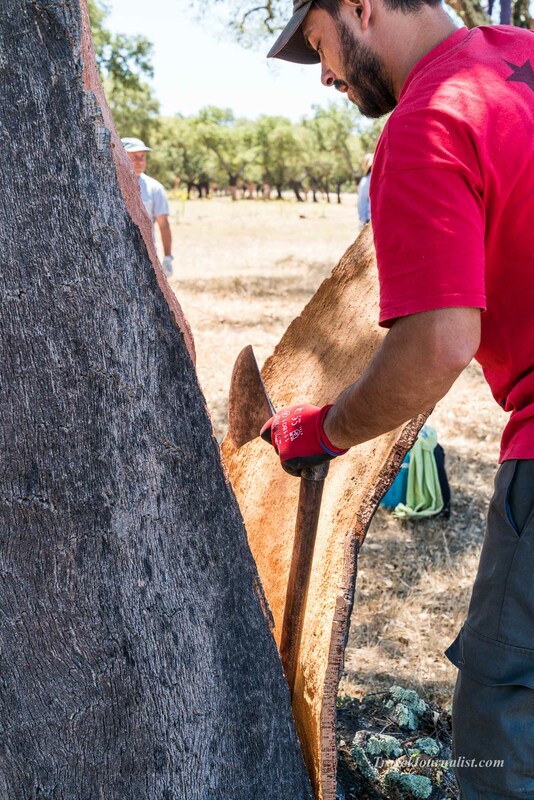 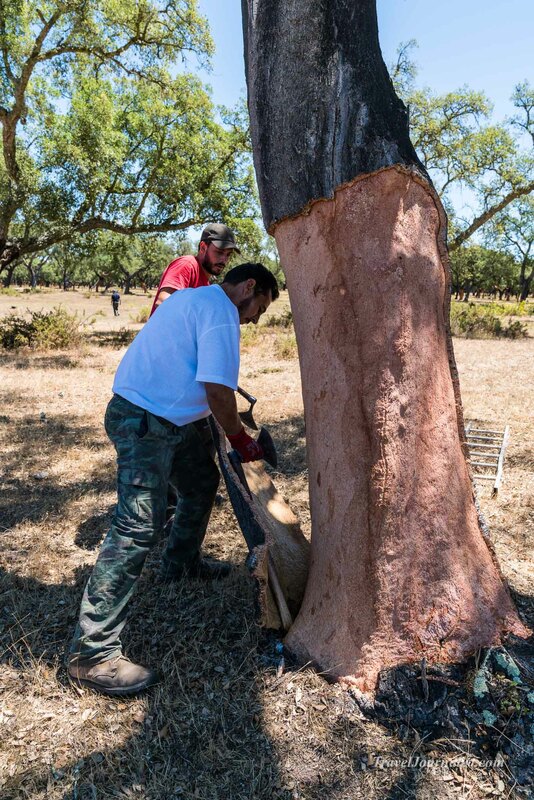 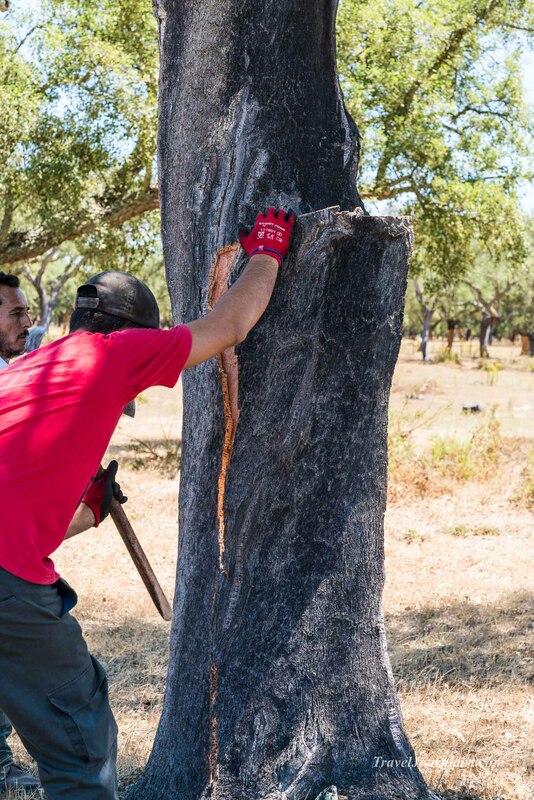 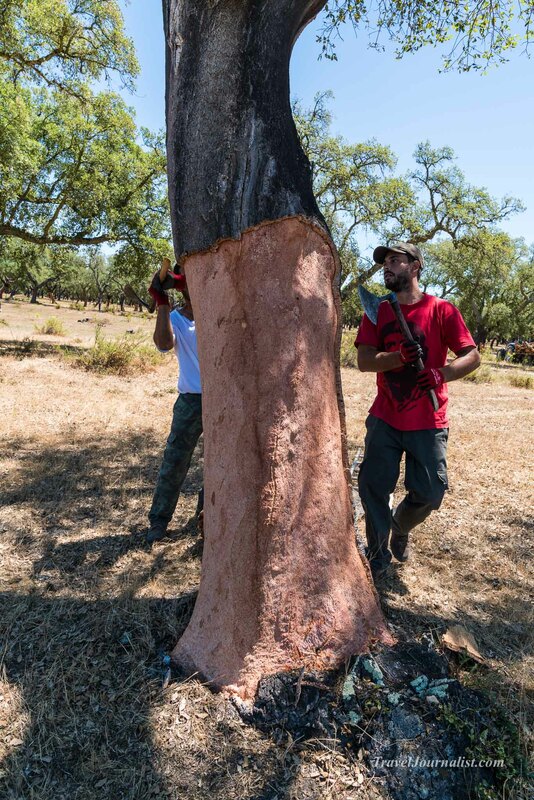 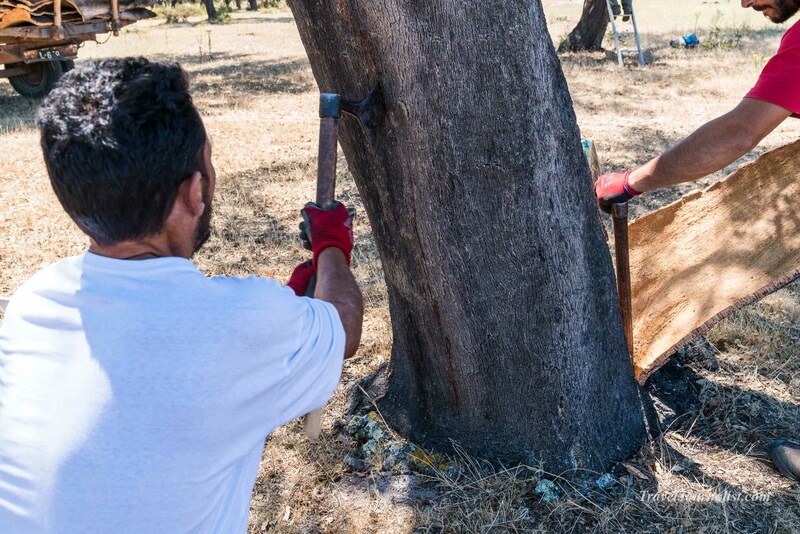 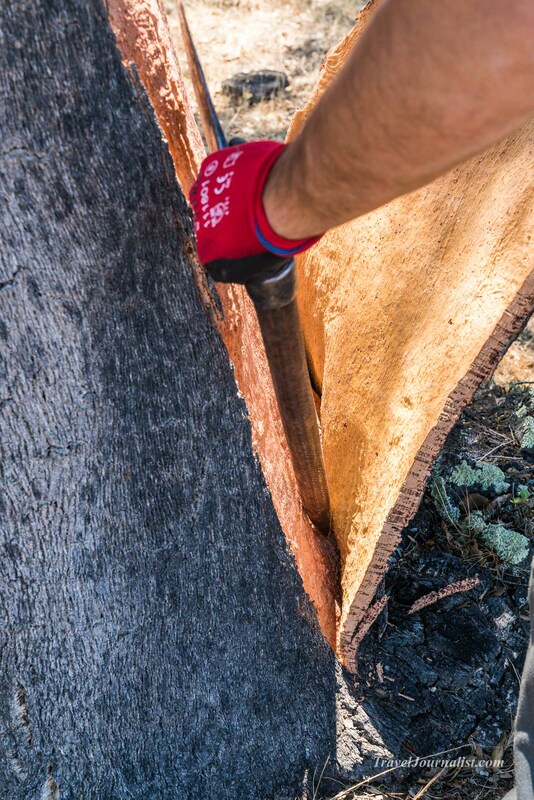 This is a very delicate process, because they have to remove the cork without hurting the tree. 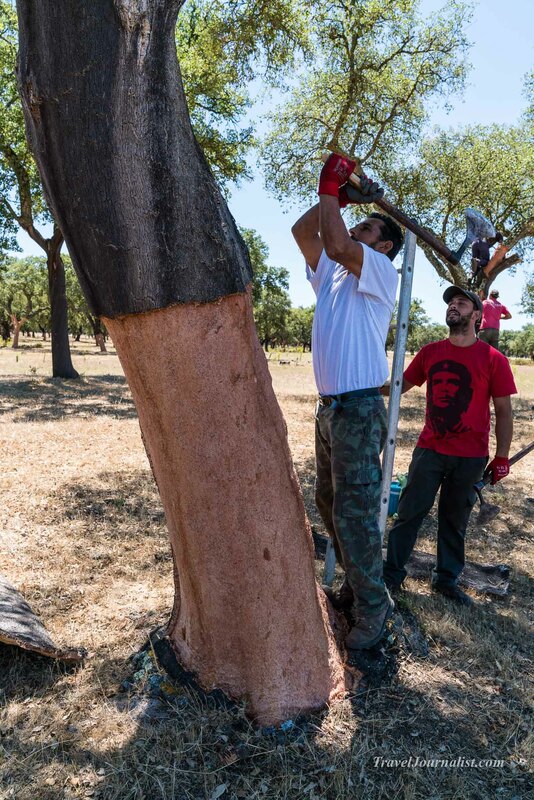 After removing it, they write the number of the year in order to know which tree has to be harvest again in 9 years. 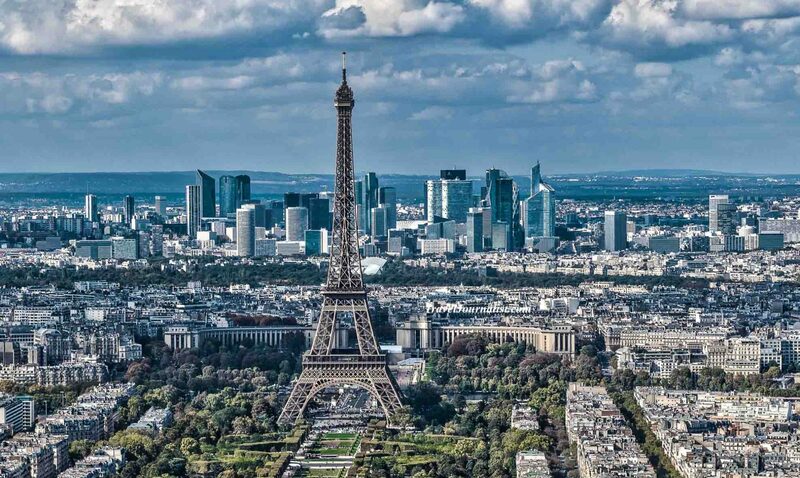 You can find below 70 pictures on 4 pages and a video that I shot this day.